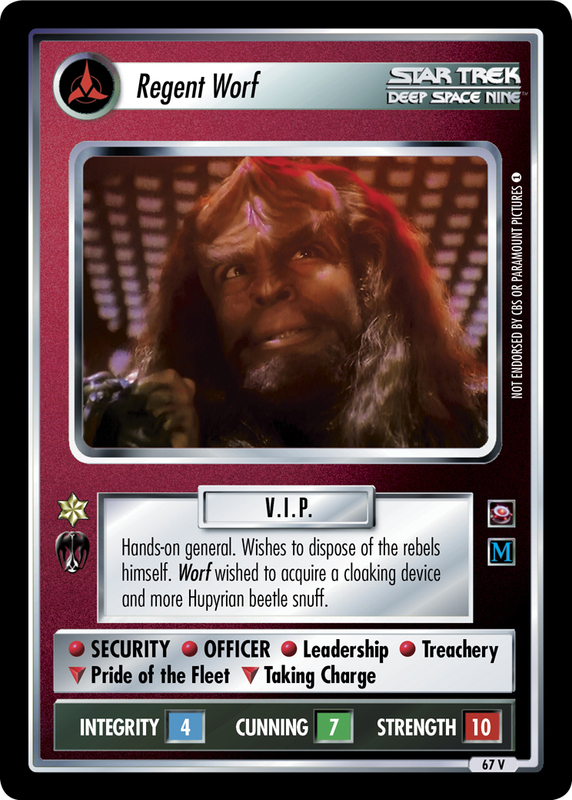 Typical section head in Regent Worf's crew. Frequent target of the Regent's temperamental outbursts. 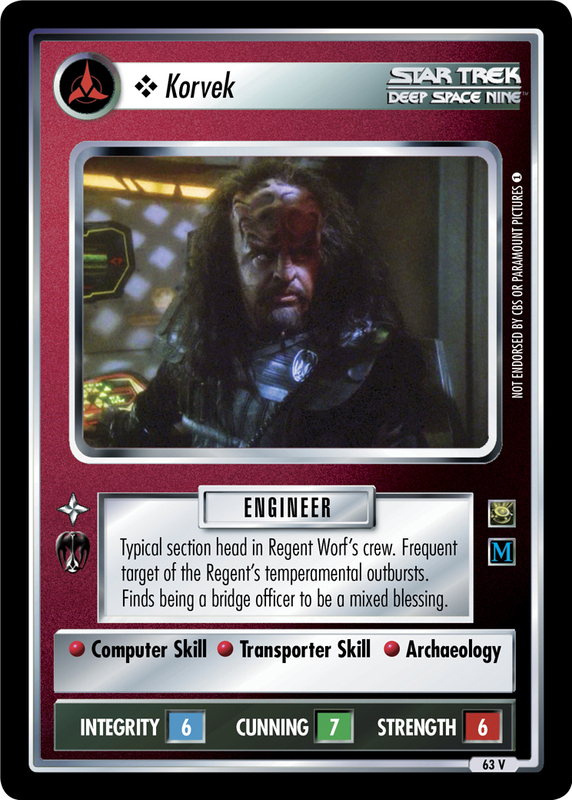 Finds being a bridge officer to be a mixed blessing.